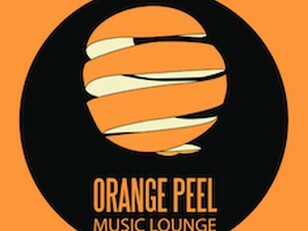 EFG and Jazznote presents five nights of Swinging jazz at the Orange Peel Music Lounge. 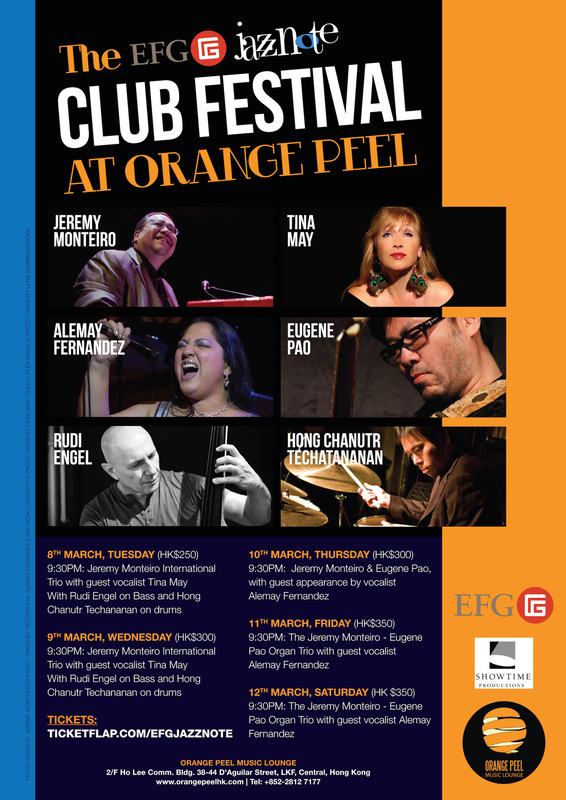 Join Singapore’s King of Swing Jeremy Monteiro as he curates and plays with a power-packed line-up of artists from Germany, UK, Thailand, Singapore and Hong Kong. Eugene Pao, Hong Kong’s renowned jazz guitarist, who has recorded and played with Jeremy on numerous occasions, will perform graceful musical acrobatics as they play songs from their new duet album To Paris With Love. Thai drummer Hong Chanutr Techatana-nan who is one of the most exciting drummers to emerge from Asia and a member of the Asian Jazz All-Stars Power Quartet and German bassist Rudi Engel, Ernie Watts Quartet's bassist and regular Monteiro collaborator, will lock down proceedings with their swinging groove. Prominent UK vocalist extraordinaire Tina May and Singapore’s soulful Jazz-Blues vocalist Alemay Fernandez are amazing to behold. See you at the Festival!